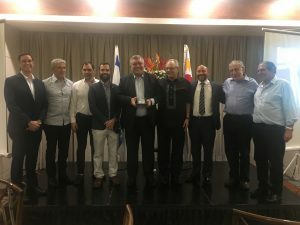 Members and friends of the Israel Chamber of Commerce of the Philippines (ICCP) gathered for a special dinner recently for outgoing Israel Ambassador to the Philippines Effie Ben Matityau. 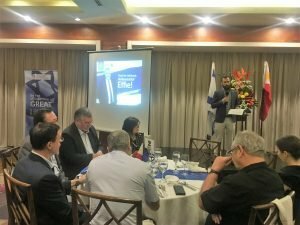 The Israel envoy served in the country for four years and has been a significant force in the strengthening and deepening of cordial relations between the Philippines and Israel. 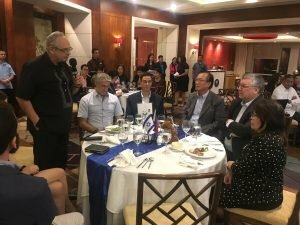 ICCP President Itamar Gero, Rabbi Eliyahu Azaria of the Jewish Association of the Philippines, Israel Embassy Economic Officer Jan Joshua Naraja, Diane Eustaquio of Ideaspace, and former ICCP President Isidor Gilan shared kind words that night, expressing their gratitude to the envoy. More than being an Ambassador, Effie was a friend to those who had a chance to sit down with him, take part in his wisdom, and laugh at his stories. 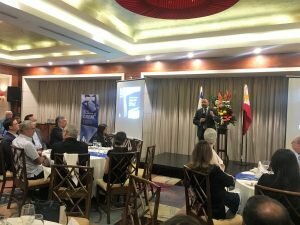 Most people may have remembered him as a professional model for senior citizens, an expert judge in beauty pageants, a well-trained selfie photographer, or for his stories about EDSA. 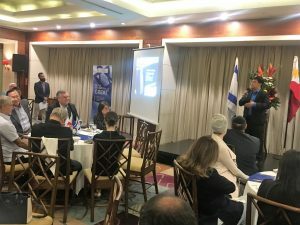 For ICCP, however, he will forever be an enabler; half of the work of the Chamber may have been impossible without Ambassador Effie’s unwavering support. 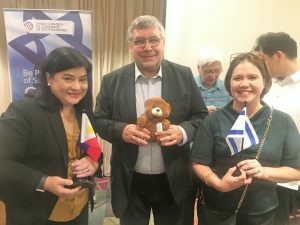 From your friends in ICCP, Toda Ve-Lehitraot, Ambassador Effie!